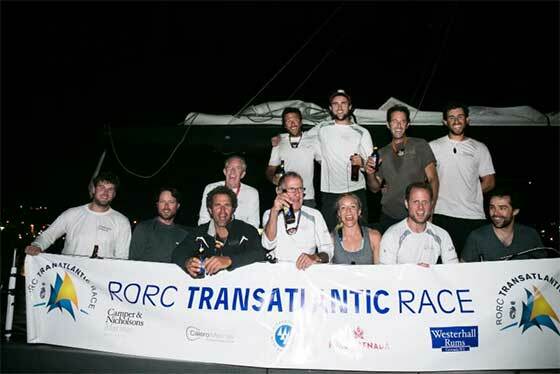 Will Apold's Swan 78, Valkyrie (CAN) and Mike Gascoyne's Class40, Silvi Belle 2 (GBR) completed the RORC Transatlantic Race over the weekend. 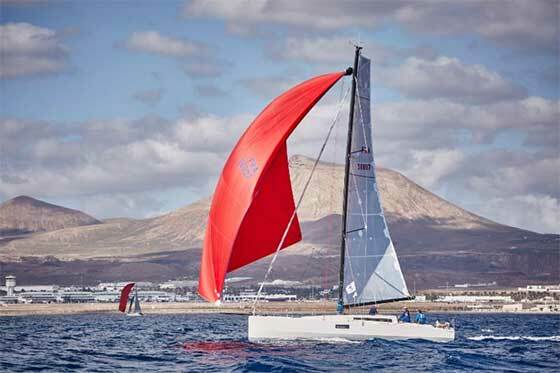 Maurice Benzaquen's French Pogo 12.50, Aloha is still racing against the clock for the overall win under IRC. "Fun!" summed up Will Apold. "A great bunch of people, experiencing a wonderful event. This is my third attempt at a transatlantic and the second that I have completed. During the race, everybody came together and bonded as a team and the atmosphere on board has been just great. We didn't sail a perfect race, but that is never going to happen in a race of this length. All-in-all we have had a lot of fun and it has been a memorable occasion." Israeli crew member, Omer Brand added: "This has been a very well organised race by the Royal Ocean Racing Club and it has been really good to get to know the race management team. There will be an Israeli Team for next year's Brewin Dolphin Commodores' Cup and I will shortly be meeting with members of that team to plan for that event, which we are really looking forward to." "It is nice to come back home," commented Mike who has a home in Grenada. "It has been a long time at sea and frustrating at times, but I am looking forward to some rest and a rum punch on the sun lounger. This was a very different transatlantic to my solo one. 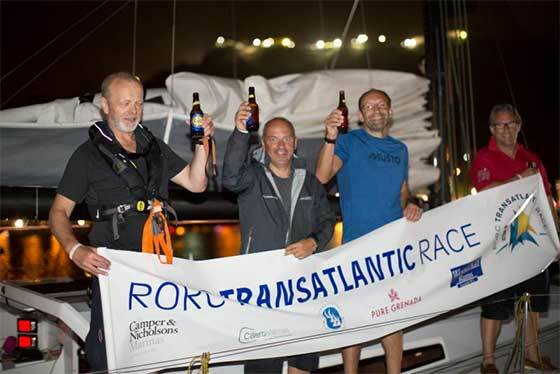 My crew are all in their 50's and have never sailed a Class40 before, so it was a big learning curve for them. Also for me as the skipper and decision maker, it was a really interesting learning experience. It is a completely different perspective when you have not just got yourself to look after, but also everyone else and the decisions are down to you. So I think for all of us, it was a really good experience. I remember one great moment as Tales II had just passed us. We did a 312 mile day, averaging 13 knots and we were really pushing the boat hard, but after that the crew said they didn't want to do that again. It was a bit too racy for our crew to stay at that level. We entered this race for all of us to get experience and in that regard it has been the perfect event for us." The next yacht expected to finish the RORC Transatlantic Race is Maurice Benzaquen's French Pogo 12.50, Aloha. The French team, all from Brittany, need to pass the finish line at Quarantine Point before 20:20:51 UTC today, Sunday 13th December, to better Nomad IV's corrected time under IRC to win the RORC Transatlantic Trophy. 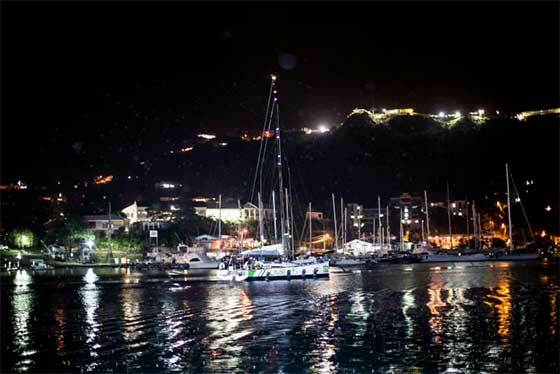 At 0800 UTC 13th December, Aloha was 122 miles from the finish and need to cover that distance in approximately 12 hours, which will be difficult but achievable, as solid north-easterly trade winds are expected for the foreseeable future, giving Aloha fast downwind conditions to Grenada.